Yes, it’s time for your ISPs to ask your permission in order to share your sensitive data for marketing or advertisement purposes, the FCC rules. Initially proposed earlier this year, the new rule says: "ISPs are required to obtain affirmative ‘opt-in’ consent from consumers to use and share sensitive information." What’s non-sensitive is information like your email address, service tier, IP address, bandwidth used and other information along those lines, but you can still officially opt-out. "ISPs serve as a consumer’s "on-ramp" to the Internet. Providers have the ability to see a tremendous amount of their customers’ personal information that passes over that Internet connection, including their browsing habits. Consumers deserve the right to decide how that information is used and shared — and to protect their privacy and their children’s privacy online." Meanwhile, the advertisers are, of course, not at all happy with the FCC’s move. The Association of National Advertisers called the new rules "unprecedented, misguided and extremely harmful," saying the move is bad for consumers as well as the U.S. economy. 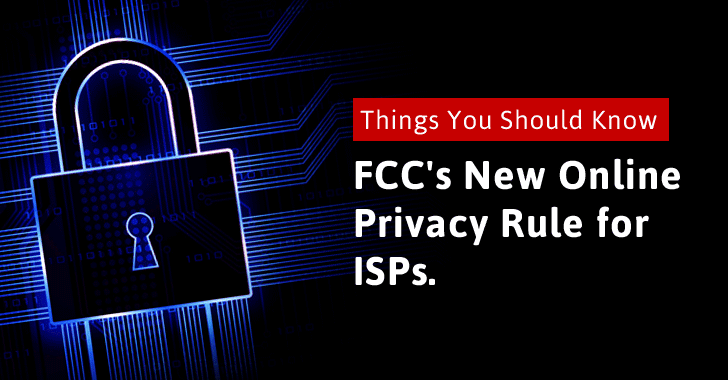 However, ISPs have a year to comply with the new rules. So, it won’t go into effect for at least a year.